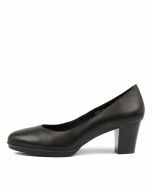 Enjoy comfort and style with this essential heeled pump from Gamins. 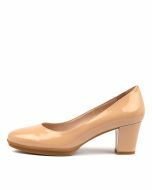 A true wardrobe classic with a mid-height block heel and almond toe, this high quality design is guaranteed to stand the test of time. Pair it with a silk shirt and a pencil skirt for a corporate look - and get ready to seize the day!